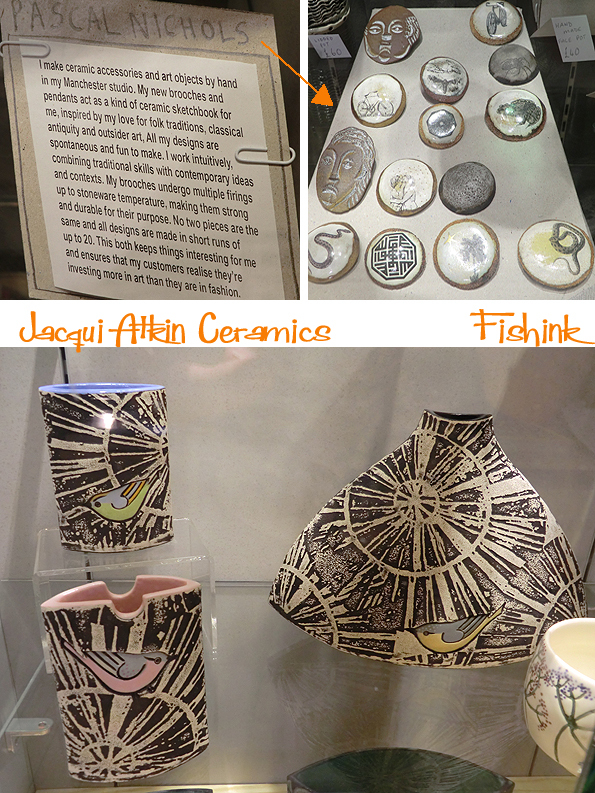 Fishink In Manchester, Art, Jewellery and Boyhood Cinema ! I had a fab afternoon off in Manchester on wednesday, which started by spotting this ingenious, floating, seed-carrier on the pavement on the way to the tram stop. 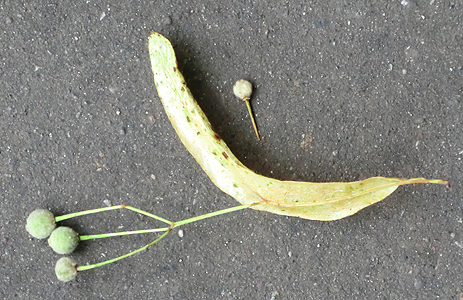 A parachute designed to carry the seeds safely to their final destination… Isn’t nature great ! before heading to the Sculptural Forms exhibition. 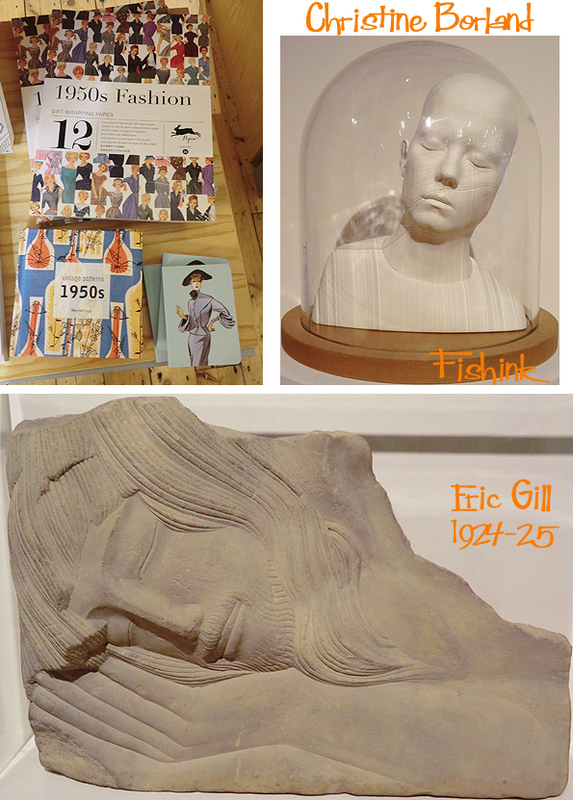 I loved how the light, serene Eric Gill sculpture of the sleeping Christ was contrasted by the dark, edgy, angular, almost creepy, ‘Beast 11’ by Lynn Chadwick. A whole 34 years separating their makings. 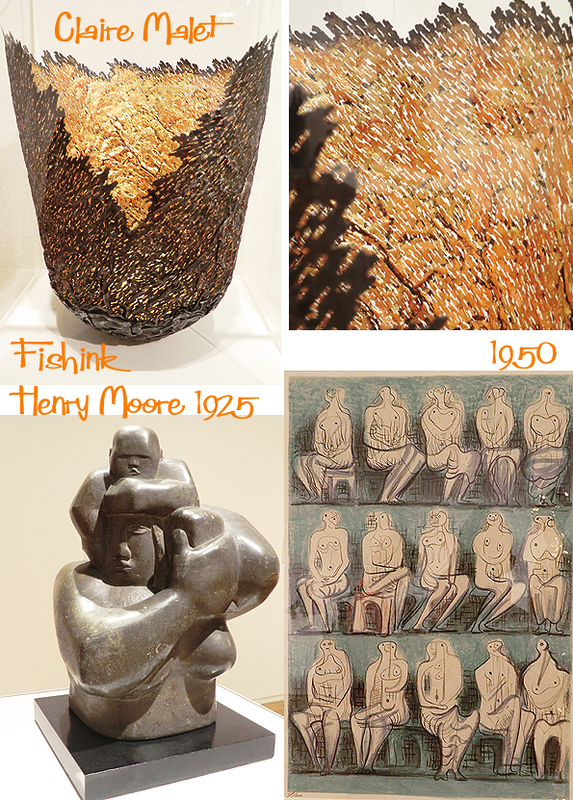 Henry Moore usually does something to please my eye. I smiled at the baby’s squat chunky face and marvelled at the curvaceous flowing lines of his seated studies. I kept seeing elephants (where there weren’t any) in this piece by Ceri Richards and my friend Sarah may well like this crow attacking the umbrella man. 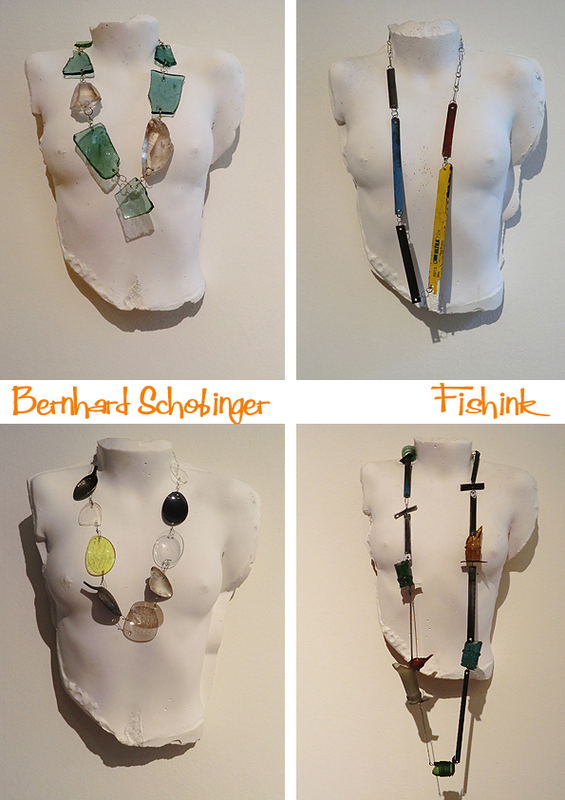 Moving onto a display of the work of Bernhard Schobinger, a jeweller who likes to work with rough found objects. 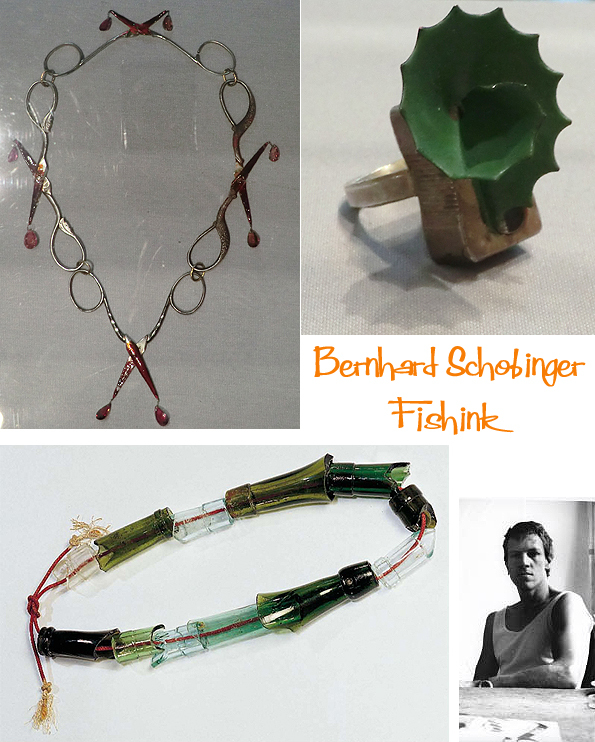 “Recognised as a key figure of avant-garde contemporary jewellery, Bernhard Schobinger’s subversive approach to making spans more than forty years and has earned him a reputation for rebellious innovation. 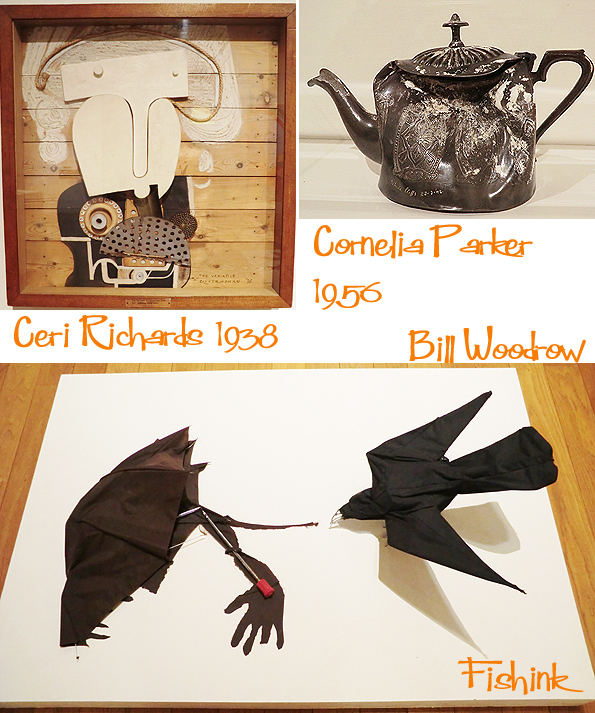 His work skilfully transforms discovered objects into pieces that allude to past and present, precious and leftover. Something of an alchemist, Schobinger gathers and processes all manner of matter, which frequently includes discarded detritus. From coloured pencils, spent knicker elastic, precious stones, combs or worn eraser nubs, to coins, diamonds, prickly saw files or poison bottles – such scavenged materials are all sources of aesthetic and physical richness. 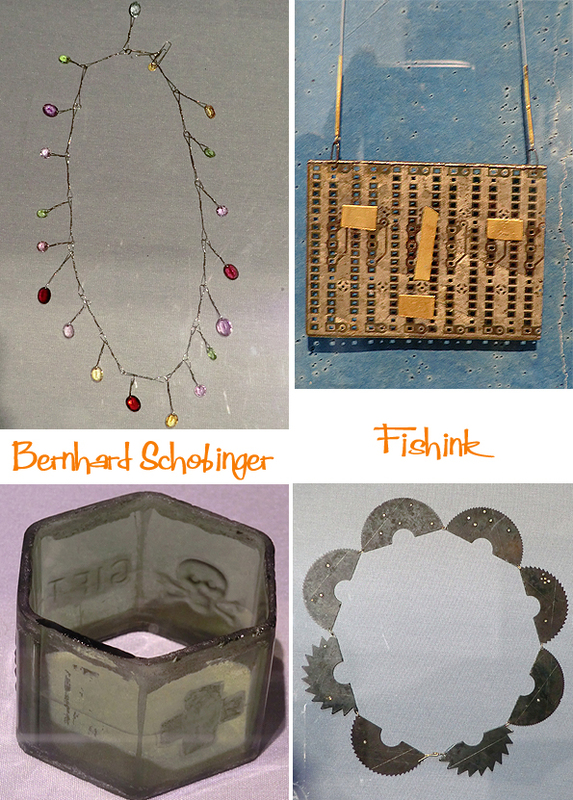 At once anarchic and collectible, Schobinger’s work unites these materials to create hybrid jewels that irreverently express their provenance while challenging conventional histories of body adornment. ” (text from Manchester Art Gallery Website). I thought these ‘plaster busts’ were a wonderful way to display the necklaces. There’s an interesting interview over at Cheshire Resident. 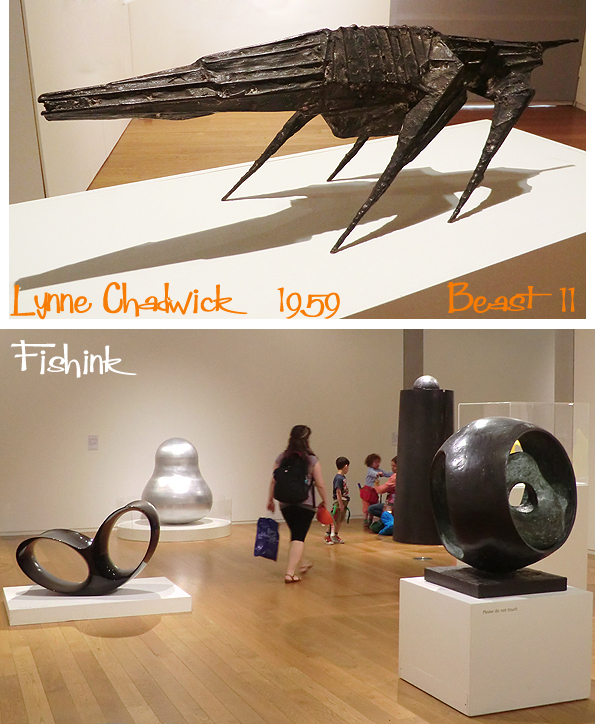 A superb selection as ever in the City Art Gallery, always worth popping in, even if it’s just for a cup of tea ! 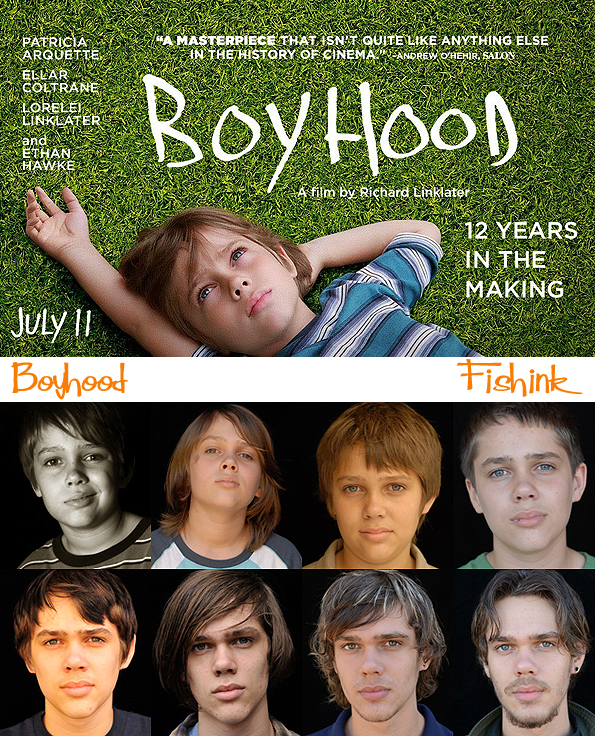 Last but my no means least, I headed over to the Cornerhouse to go and see ‘ Boyhood ‘ a truly amazing film following the life of a boy of six through to his university years. Here’s a flavour of it.. I hadn’t read anything about the film before seeing it and so kept wondering how on earth the characters kept ageing during it’s unfolding. Apparently it was shot over just 39 days, spanning a period of 12 years so the characters did age naturally during it’s making ! Wow I’ve never heard of something like this before. Looking into the work of the producer Richard Linklater, I realised it’s the same talented guy who made Before Sunrise and Before Sunset which were also classic stories. and now I’ve just spent the last half hour reading about Vivian and watching the YouTube videos. Her work is amazing. Yes she captivated me too. The film is a little sad really but I was interested to just get some ‘closure’ on my feelings about her work. A truly gifted photographer and to think that it all could have been burnt and no one would have ever seen such amazing images from those times. I love the notion of making jewellery from materials that are worthless, so all the worth is in the making and the pleasure of wearing. A very fine analogy. Great point.